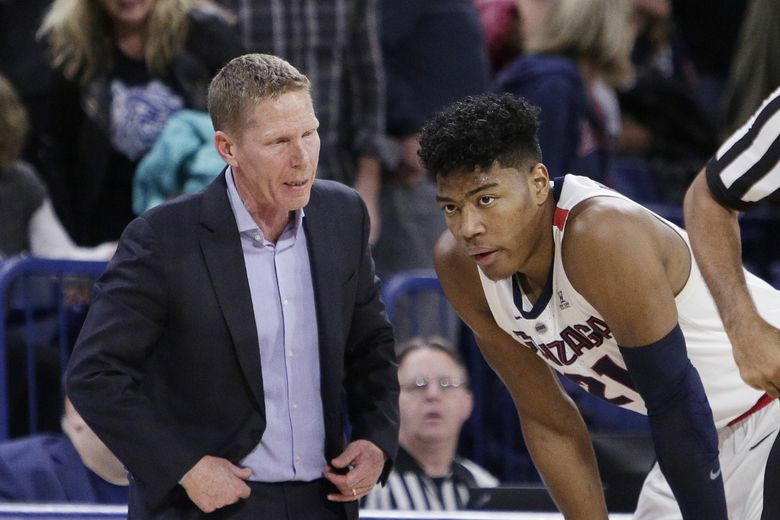 Up to that date in 2017, the Zags had fallen short of that coveted destination despite 19 straight NCAA tournament appearances. So as Williams-Goss noted, the proverbial monkey was off the Bulldogs’ back. But that doesn’t mean another one won’t descend upon it soon. Up to that point, Gonzaga was the most successful college basketball program to have never reached the Final Four. The Zags’ 19-tournament appearance streak was tied for the sixth best ever (their current streak of 21 is No. 5), and they’ve been a No. 1 seed twice, a No. 2 seed twice and a No. 3 seed twice as well. But as soon as they checked that Final Four box off their list, they instantly became one of the best college programs to never win a national title. And probably the best over the past 20 years. Unfortunately, the joy of success often comes with a punishment: raised expectations. Fortunately, this year’s Gonzaga team — which earned its third No. 1 seed on Selection Sunday — might be the best one yet. It certainly is on offense. KenPom.com, an analytic site designed to measure a team’s overall value, gives the Zags an adjusted offensive efficiency (AdjO) rating of 125.2 — which is the best in the country. The figure is based on points per possession and adjusted for quality of opponent, and apparently no team is better than Gonzaga. Before their loss to Saint Mary’s last week, the Zags had an AdcljO of 127.8, which would have been tied with the 2017 Villanova team for the second best in KenPom.com’s 17-year history. And it’s not a mystery as to why. Forward Rui Hachimura is a lottery pick in most mock drafts and sits at No. 4 on nbadraft.net. In addition to beating the Huskies on a last-second jumper last December, the junior has averaged 20.1 points and 6.6 rebounds en route to winning West Coast Conference Player of the Year. Even so, he might not be the Zags’ MVP this season. The number crunchers suggest that honor should go to junior forward Brandon Clarke. Clarke is averaging 16.5 points and 8.4 rebounds while shooting an absurd 69.3 percent from the field. That’s the same percentage as Duke phenomenon Zion Williamson. As far as advanced statistics? If the season ended today, Clarke’s player efficiency rating of 39.1 would be the second best since the 2009-10 season. The only player ahead of him? Williamson himself at 42.0. Compared to that national runner-up team in 2017, this year’s Zags aren’t quite as tough on defense. KenPom ranked that Gonzaga team as the best in the country defensively whereas this year’s is rated 17th. For context, though, that’s one spot better than Oregon, which terrorized the Pac-12 during its current eight-game winning streak. And KenPom’s overall efficiency grade of 32.68 is the best in program history. So will this wind up being the greatest Zags’ team ever? Well, they do have sophomore guard Zach Norvell Jr., whose scoring average increased from 12.7 points last season to 15.3 this one. They have senior point guard Josh Perkins, whose 6.4 assists per game are a career high. And they have a November victory over a full-strength Duke team, which captured the No. 1 overall seed Sunday. Granted, that double-digit loss vs. Saint Mary’s in the WCC championship wasn’t the most palatable experience heading into the Big Dance. And had Tennessee beaten Auburn in the SEC title game, Gonzaga likely would have been slapped with a No. 2 seed. But that doesn’t mean there’s been a group of Zags as good as this one. Obviously, the road toward a title begins with 16th-seeded Fairleigh Dickinson on Thursday, and teams such as Syracuse and Florida State — each of which has bounced Gonzaga from the tourney in the past three years — are in the same bracket. That shouldn’t matter if the Zags play their brand of hoops, though. This was once the program whose Cinderella runs shocked everybody. Now, a national championship would shock nobody.